Heading to a dinner party with no time to bake, I stopped by this chocolate-focused dessert shop in my old neighborhood. 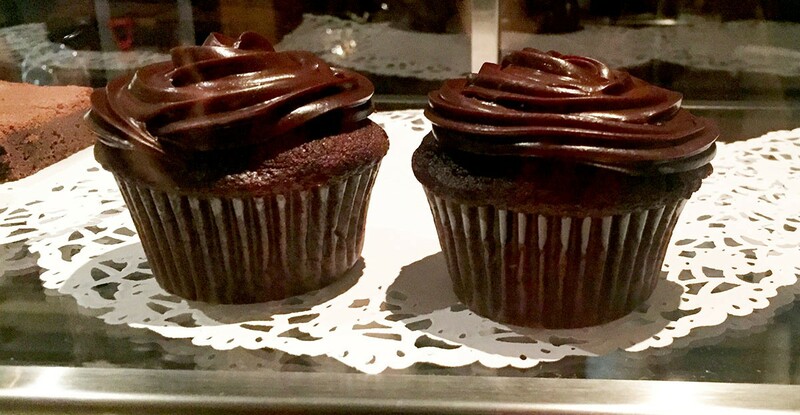 I went right for the cupcakes, of course, but they only had two left. That gave me the opportunity to sample more goodies! 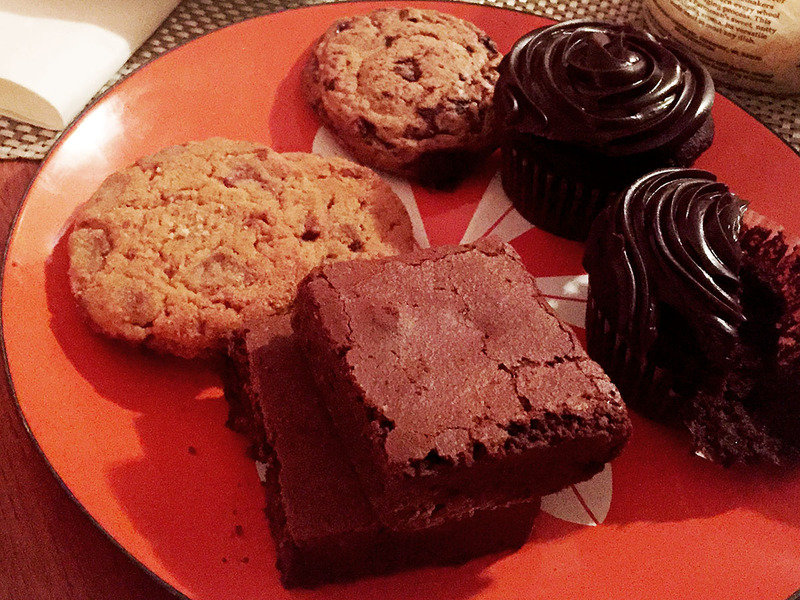 Though I was tempted by a small chocolate layer cake, I decided on cookies–two chocolate chunk and two chocolate peanut butter–and brownies to fill up my box. They were a hit with the group of women at dinner that night, we all got to try a little of everything. I will note that nibbles of a brownie paired nicely with sips of red wine. I thought all the baked goods were nice, but I have to vote for the cupcakes as my first choice (duh?). 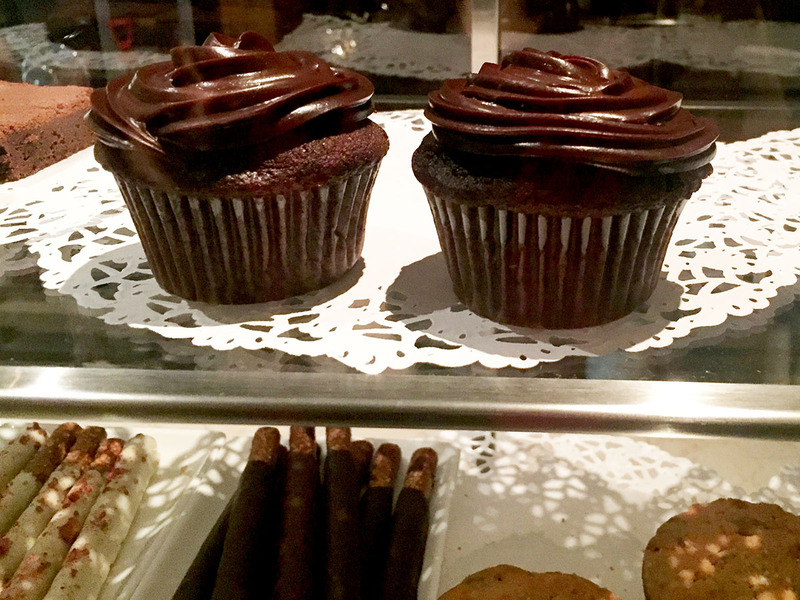 They were light, the cake not heavy or dense at all, and the rich and silky smooth chocolate frosting was a good contrast. I see there is a bit missing from a cupcake 😉 they must have been irresistible! Ha ha, you are right. I almost couldn’t get a pic before they were devoured.